When Square Enix opened the doors to its new cafe, Artnia, there was no question about me going. Ever since Final Fantasy VII I have been unapologetically addicted to RPG’s, and Square Enix had created a shrine to all things Sephiroth. Artnia had replaced the Square Enix Showcase, its former public stage. 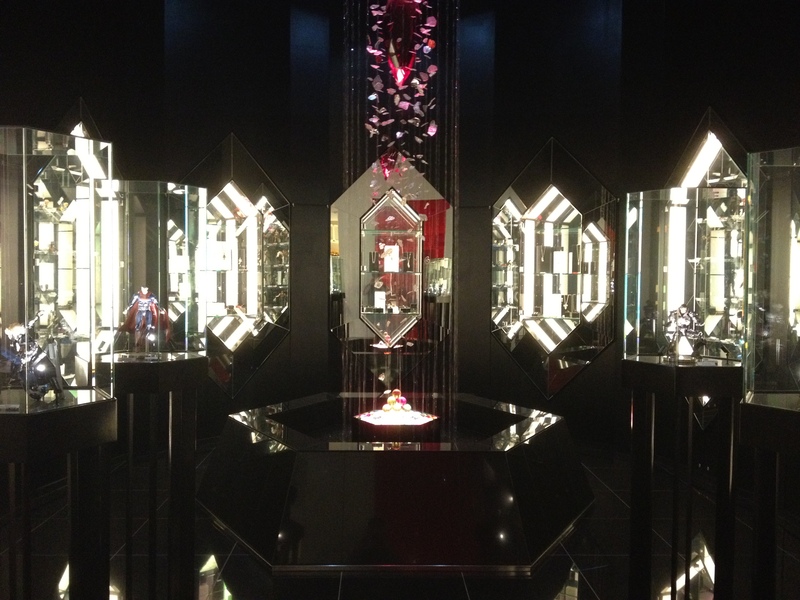 I’d loved the Showcase. Since it had been conveniently located (kind of) close to Shinjuku station, I’d made it a pit stop every time I went to Tokyo. 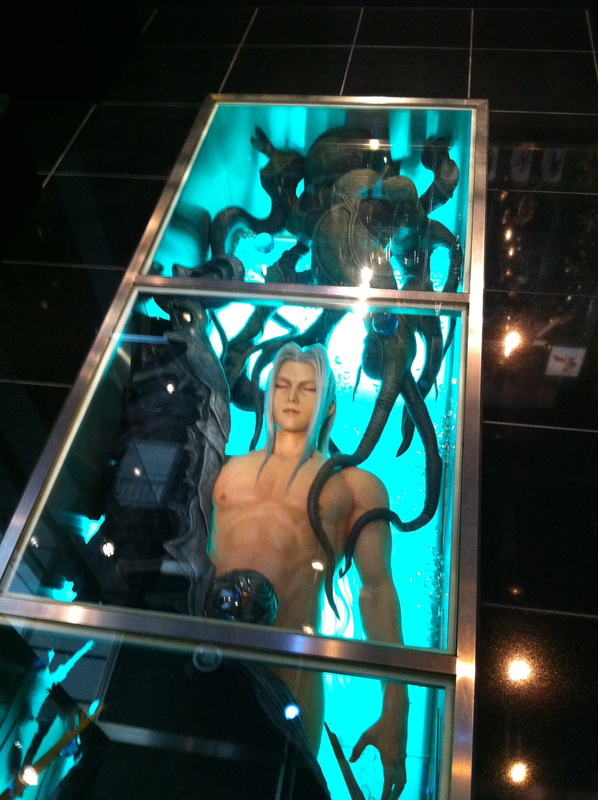 The Square Enix Showcase was where the great Sephiroth once slept, his black materia shielding his unmentionables from fangirl’s eyes. Since Sephiroth didn’t get transferred to Artnia, it’s a mystery where he is now. I have to wonder if he’s in Square Enix president, Yoichi Wada’s, personal game room. Sora also stood nearby, grinning at the visitors shuffling by. He’s disappeared too. But the Square Enix Showcase is gone–replaced by Artnia, a new store/cafe a bit less easily accessible. 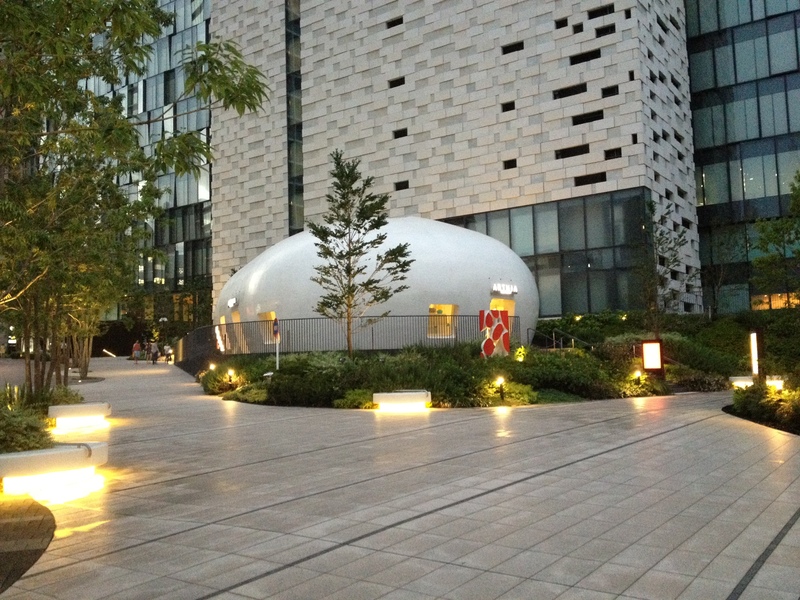 While sleek, and despite those slick benches sprinkled around, Artnia’s size looks underwhelming from the outside. It looks tiny at the feet of the surrounding buildings, but it’s fortunately bigger than it looks. The cafe occupies the front of the building, the merchandise scaled down from what it once was. Visitors to the old Showcase will be disappointed with the number of products available in Artnia, but first timers should leave satisfied. The selection isn’t what it used to be, but Square Enix goodies aplenty line the shelves. There’s a lot that’s hard to find anywhere else, like mugs, keychains, figures, sculptures–everything an otaku could ever want. Non-Japanese fans might be surprised at the space dedicated to Dragon Quest though. 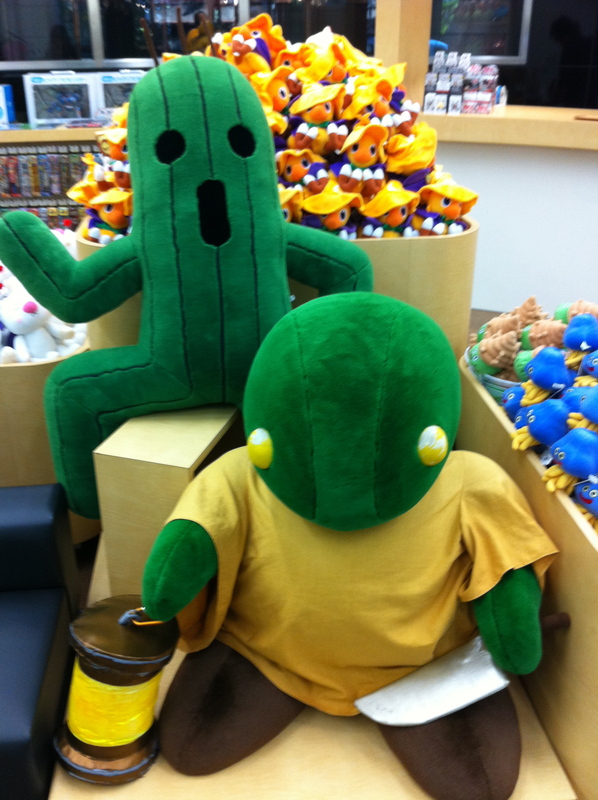 Dragon Quest thoroughly penetrated the Japanese market–which has a love of things cute–so slimes and Akira Toriyama characters have a strong presence in Artnia. Those hoping to find Final Fantasy and Kingdom Hearts products won’t feel disappointed though. There’s enough merchandise to keep everyone happy. But since I had already seen all the goodies before, I had come for the new cafe. 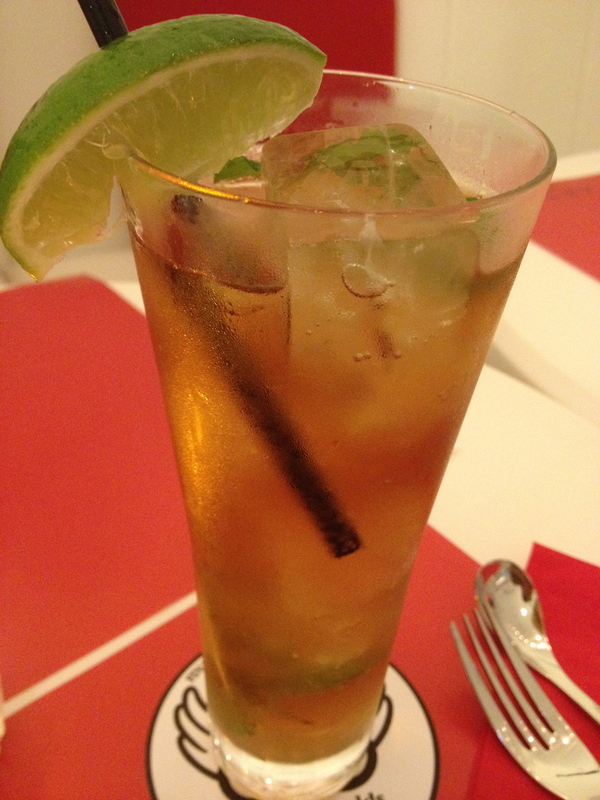 Square Enix-themed food and drink were enough to lure me to back to Tokyo for a tasting. 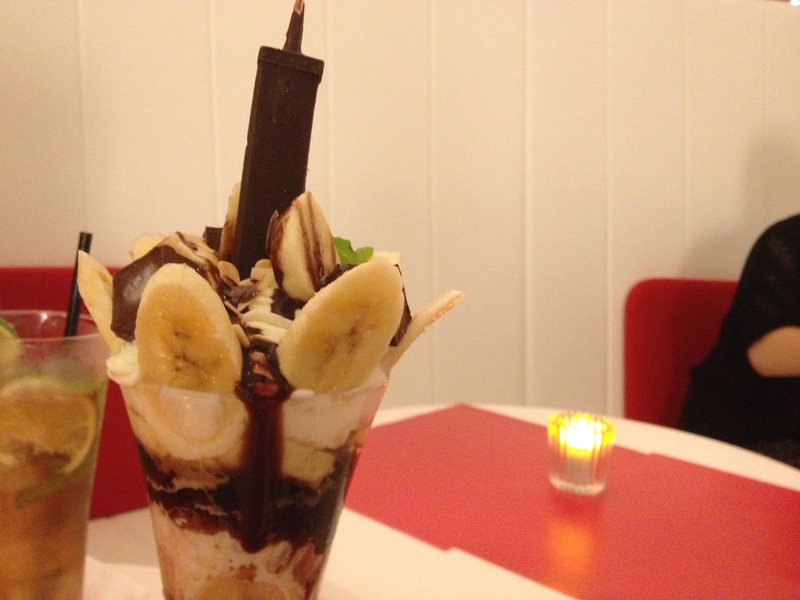 Yet, while there is food on offer, Artnia is more a drinks and desserts cafe than a restaurant. 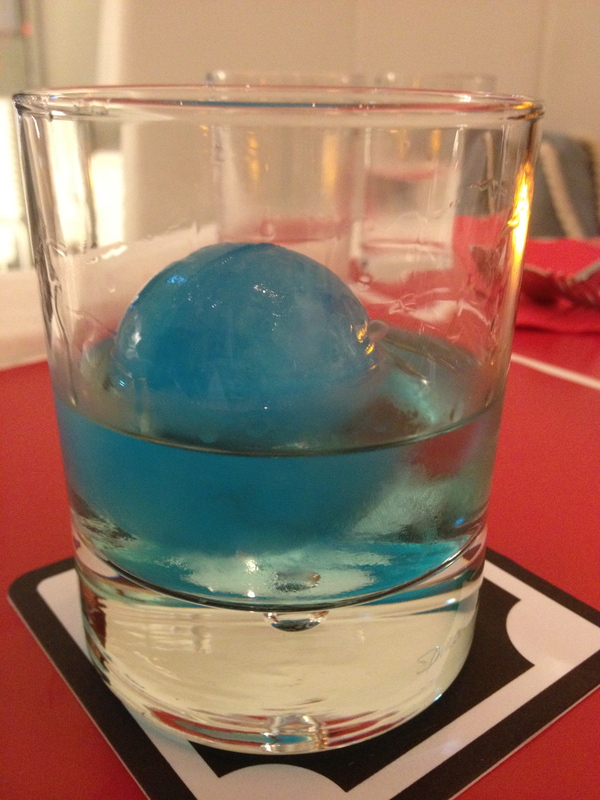 I ordered the blue materia. Very cool-looking, but the taste didn’t inspire me with the wisdom of the ancients. Verdict: okay. The High Potion, however, was delicious. It gave my HP a boost for the rest of the day. Artnia’s themed parfaits were awesome. 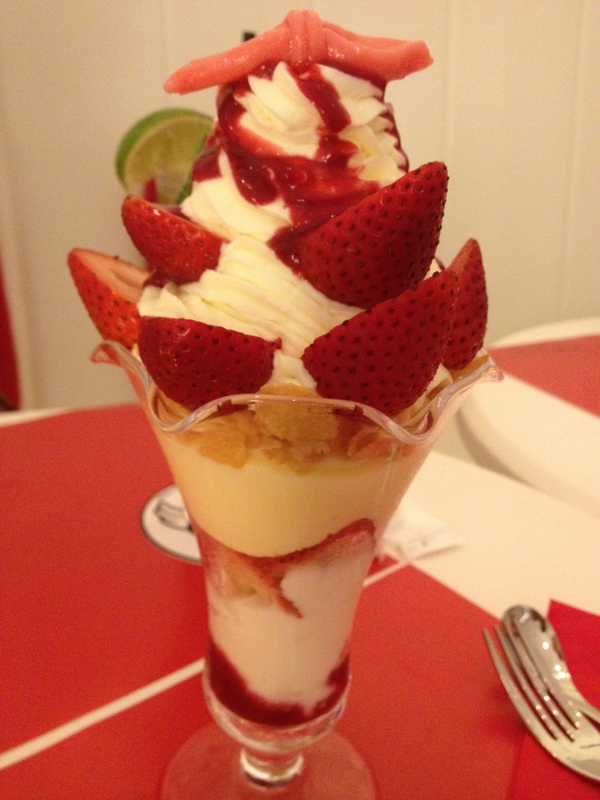 She chose the Aeris-themed strawberry topped with a pink decoration, which represented Aeris’ ribbon. My chocolate parfait was Cloud-themed. It got a bit messy when it started melting down the side of the glass, but the chocolate Buster Sword added a touch of awesomeness that made up for sticky fingers. After finishing we headed to the back, where a mako fountain was surrounded by the more expensive offerings. Rings, necklaces, lighters, card holders–things that won’t look as cool on your person as they do in a case. The sharp-eyed will notice Superman posing in the case. 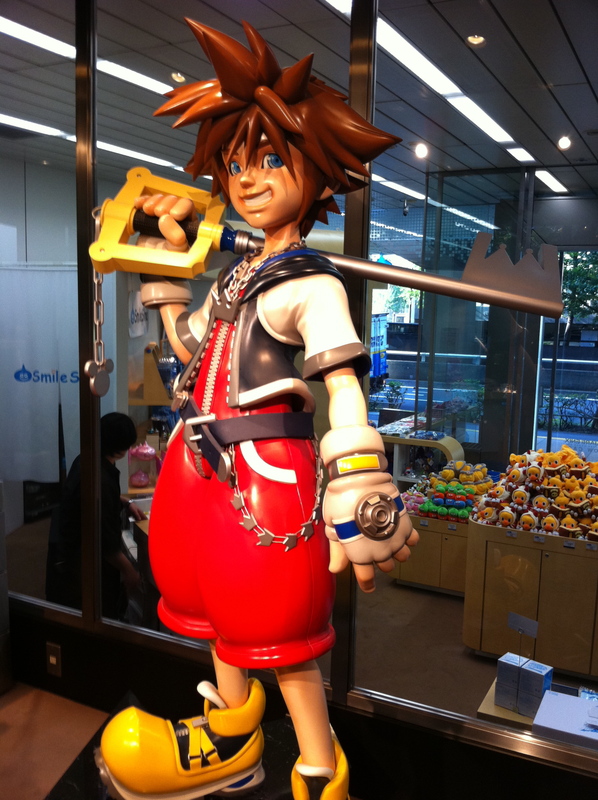 The company that makes Square Enix’s figures is Play Arts, which caters to more than just Square–or even gamers. I don’t remember clearly, but I think the guy on the right is Metal Gear’s Raiden. If you’re looking to deck out your otaku shrine, Artnia is your stop for all your indulgences. If you’re interested in Artnia, here’s the site. I’ll see you there!